Synagogue in Zvonárska street in Košice, Slovakia! Before WWII Košice was a city with a large Jewish community. More than 16% of all city residents were Jewish and they had a major impact on the city life. Several Synagogues were also built in the city and one of them is in Zvonárska street, right in the heart of the city center. Although it should deserve some renovation already, it is still a magical and wonderful place to visit in Košice. To get to Synagogue in Zvonárska street you should first contact Jewish community in Kosice, as the synagogue is not generally opened. There is a voluntary admission fee. 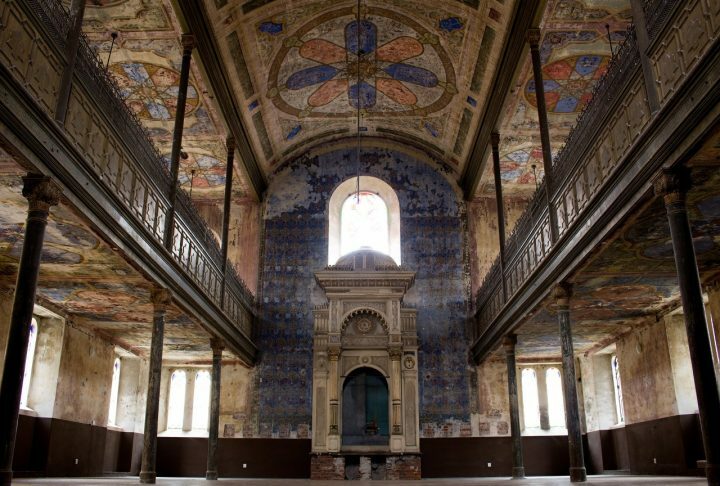 There are more Synagogues that you can also visit in Košice. Another one is just a street away, in Puškinova street. And the third one is in Moyzesova street, which now serves as the House of Arts – the seat of the State Philharmonic Košice. Since Košice is considered to be the most beautiful city in Slovakia there are plenty of other things to do and places to visit in the city. E.g. there is a wonderful cathedral and its main street (Hlavná ulica) is filled with more beautiful sights, churches, parks with fountains, restaurants and pubs.